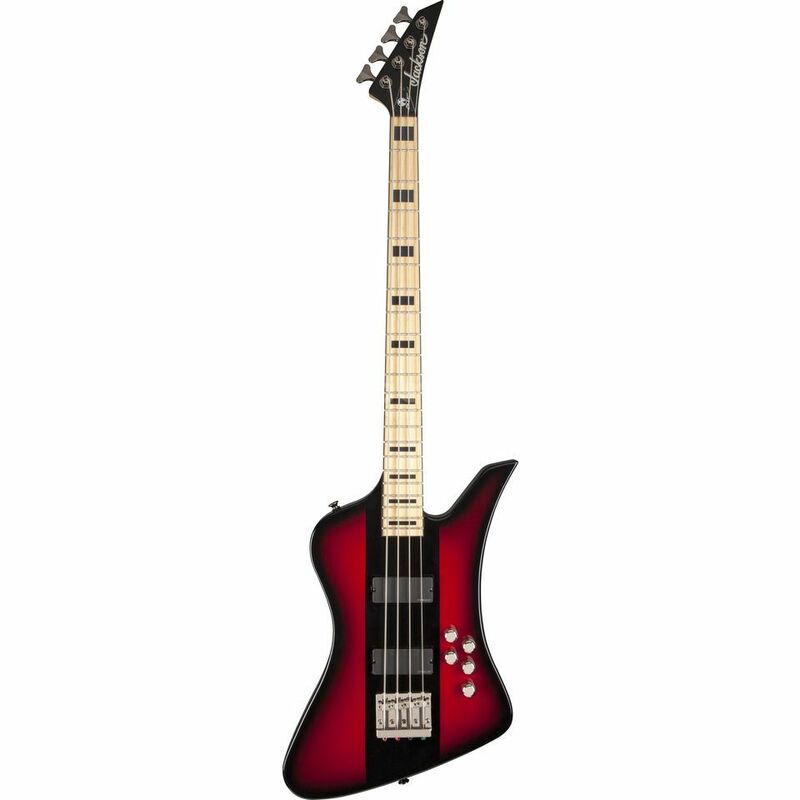 The Jackson JS3 David Ellefson Signature Kelly Bird Bass in Red Stripe is a 4-string bass guitar that is the latest in a line of Jackson signature models to be given to long-time Megadeth bassist David Ellefson. The Jackson David Ellefson Signature Kelly Bird Bass features a lightweight Basswood body that is carved into the infamous Jackson Kelly shape. The body is joined by a one-piece quartersawn Maple neck that is topped by a compound radius Maple fingerboard with 21 jumbo frets and black block inlays. The body of the Jackson David Ellefson Kelly Bird 4-string bass guitar is finished off with a pair of EMG HZ35 pickups that are connected to individual volume controls and an active 3-band EQ. Accompanying the pickups is a black Jackson high-mass bridge that helps to improve the sustain and tone of the bass.